For the week 2 of BM#66 , the theme is vegetables which are fruits. According to botanists, a fruit is that part of the plant which develops from a flower. According to Wikipedia a fruit is the seed bearing structure of flowering parts called as angiosperms. 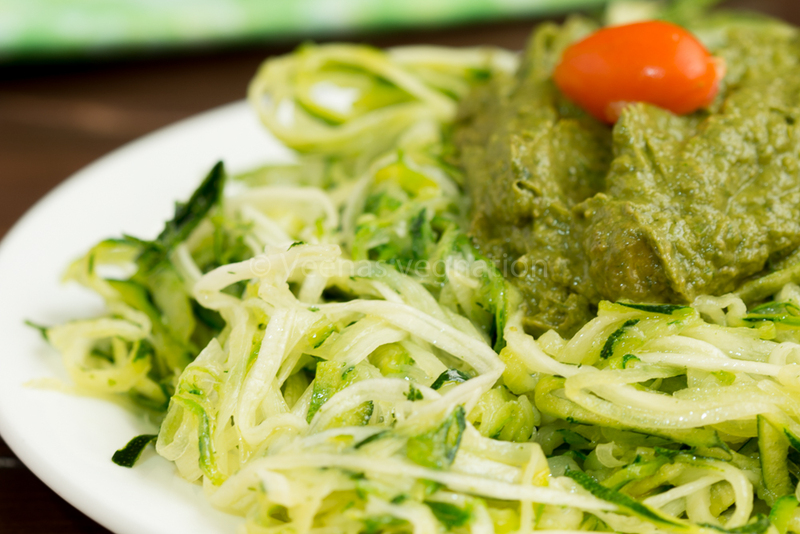 One such fruit which in culinary use is known as a vegetable is zucchini. 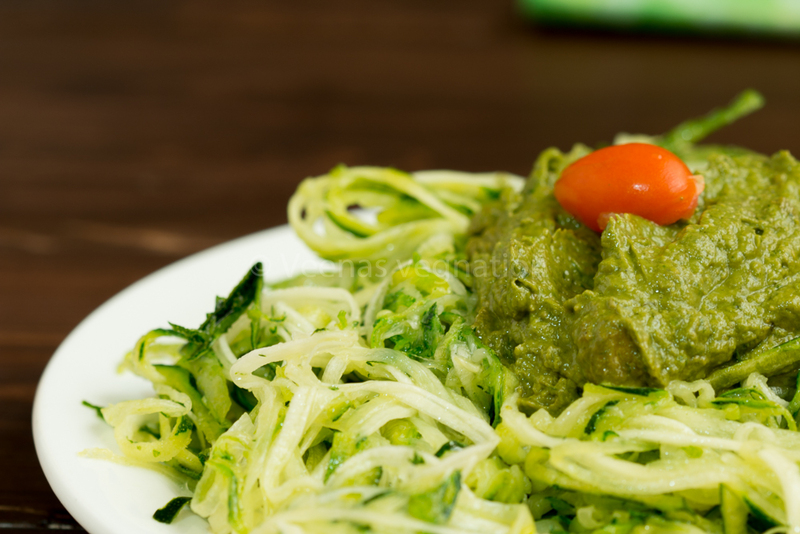 Here is a simple pesto pasta with zucchini noodles and not the regular noodles made with the all purpose flour. 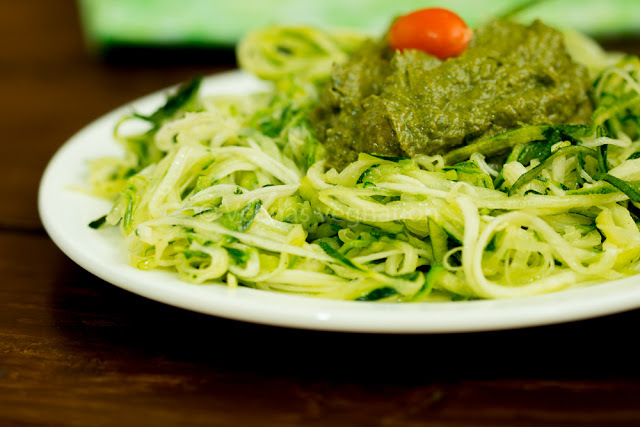 As this noodle is done with a vegetable, it is very healthy and tasty too. We get a spiralator called vegatti now. I bought it online and it is quite useful. You can noodles from zucchini, cucumber and carrot. Its small, handy and not expensive too. It is very easy to use too. You have to insert the vegetable on one side, and turn the vegatti like you turn the pencil when inserted in a sharpener and you get long noodles of the vegetable and the centre seed part comes out through the other side. Transfer the prepared noodles to a serving plate. In the centre add the necessary pesto, mix and serve.